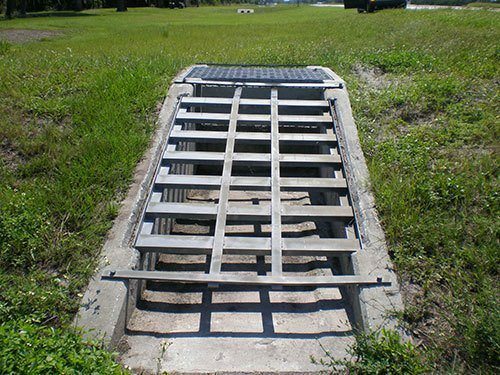 Environmental Composites, Inc. manufactures ENVIRO PIPE AT GUARD ENDS Manatee Gates, specified to FL DOT Design Standards (Index 280). 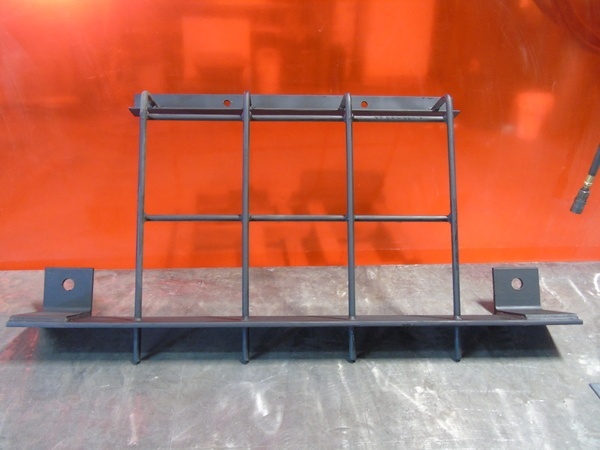 These products are available painted or galvanized in the sizes specified by the customer. 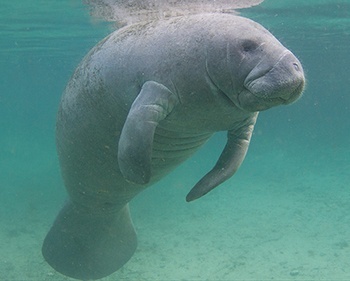 Manatees are protected, endangered species in Florida, growing up to 13 feet long and weighing 1,300 pounds. Brewer Paving & Development contracted with County Materials' Florida location recently to supply reinforced concrete pipe for a gate project designed to prevent the manatees from entering the Port Canaveral Welcome Center and getting caught in waterways. 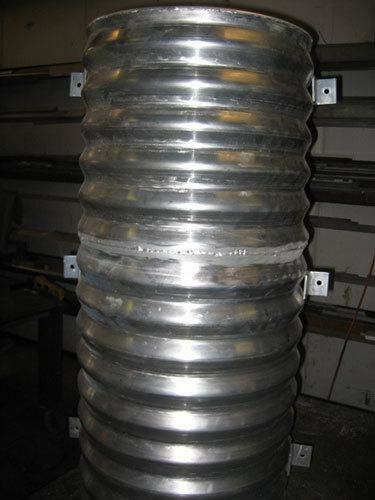 Rick Bolinger, (Pipe Sales Representative, Astatula, FL) suggested incorporating stainless steel cages with various sizes of reinforced concrete piping, including 60" flared end sections. 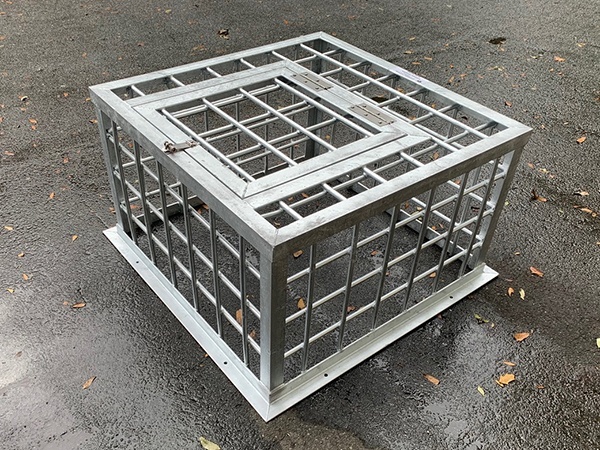 Rick contacted Environmental Composites to provide shop drawings and stainless material to build and install the cages. County Materials and Environmental Composites employees are proud to be providing one-of-a-kind stainless, reinforced pipe for this innovative project that is protecting an endangered species. 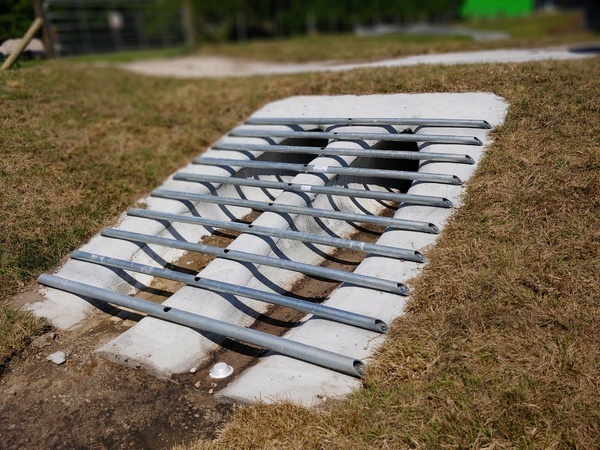 Please contact us today at (352) 343-3449 or reach out to us on our online contact form to learn more about manatee gates and how they can be used in your project.